"I have to tell you we had hamburgers last night and they were out of this world. Your beef is very lean and has so much flavor. I come from a cattle ranch family in Texas. I do not eat much meat here in the city. The flavor is just not the same and the texture is so different. I have been really craving a good hamburger and your beef fit the bill. I hope some day to visit your beautiful ranch. " Welcome to our farm. 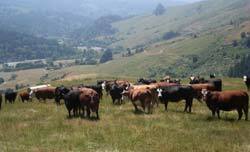 We are a small family owned and operated business that has been farming cattle for over 25 years. We raise all natural, 100% Grass Fed Beef, on pasture 100% of the time. Our goal is to provide you with, not only the most tender and succulent beef to ever reach your table, but also the healthiest choice for you and your family. or by calling us at (707) 786-9460. When you purchase our pasture raised beef you help support our Family Farm and preserve rural agriculture land with sustainable agriculture practices. This is land we deeply care about, where we live and raise our children. The Grass Fed Beef we market is the same beef we serve our family and you can rest assured that our beef is safe to eat every day. 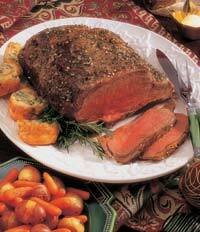 © Copyright 2007-2017 - Bear River Valley Beef - All Rights Reserved.